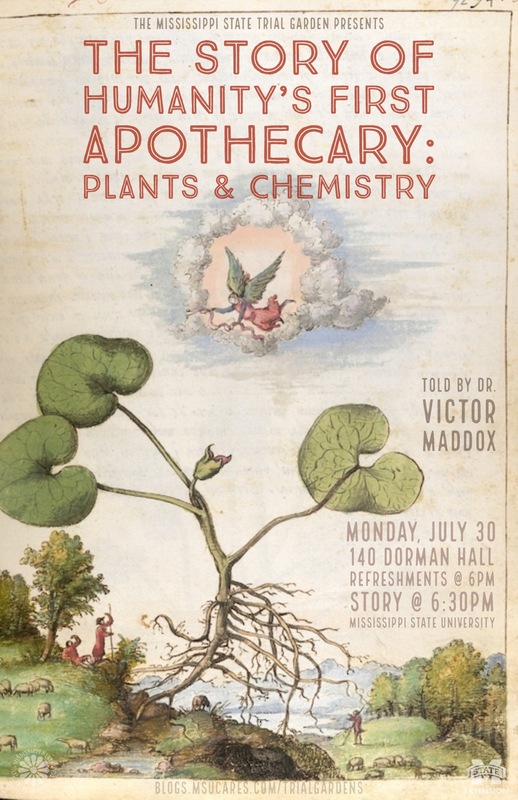 Come hear The Story of Humanity’s First Apothecary: Plants & Chemistry. Monday, July 30, 6:00 pm. Dr. Maddox holds a bachelor’s degree in horticulture with a minor in botany from Southeast Missouri State University, a master’s degree from MSU in agronomy and a doctorate from MSU in agronomy specializing in turf and native grasses, with a minor in plant taxonomy. 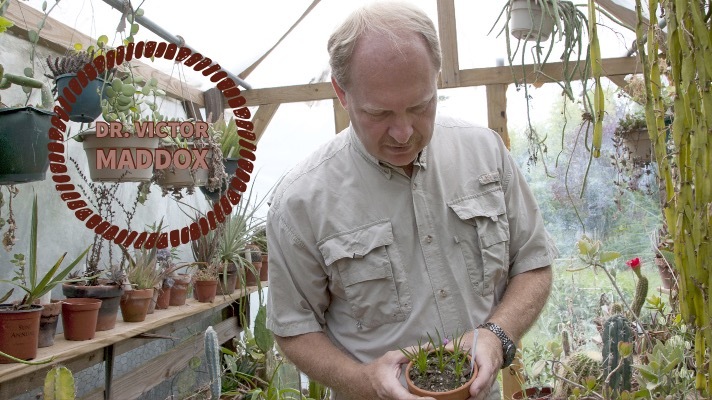 During college, he managed a private university collection of about 7,000 hybrid orchids, some dating to the 1940s. Now he manages his personal collection. The collection is arranged thematically with Old World plants from Africa, Asia, Australia and Europe in front of the house. The backyard has plants from the New World — North and South America. Parking is available outside Dorman Hall.